There's always a thin line between light and dark when you use Mini Blinds window treatments, and that's a good thing, because thinner slats leave fewer gaps, leaving you in full control over how much light and privacy you get through your window. Lock blinds in place and let the light shine in or not. Mini Blinds with Curtains pair well together, or blinds can be left on their own. 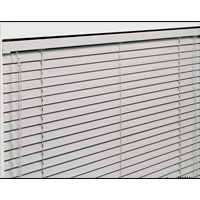 Mini Blinds for small Offices won�t overcrowd your area and make you feel trapped! Mini blinds in Restaurants keep the sun�s rays from making people uncomfortable and food melt! 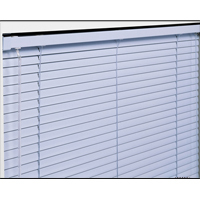 Mini blinds also go well in the Home or School for any window! Browse our selection and find the blind that's right for you. If you ever need help or customizing questions, ask our live experts!